We have been traveling a lot with our little people and especially since the New Year! I am a true believer of your life doesn't stop when you have kids. I want to be able to travel the world with them and a few vacations without them (I would miss them like crazy) but how incredible to create those memories as a family and how fun!!! :) Adie has been on a few flights and a ton of road trips and now Aden! 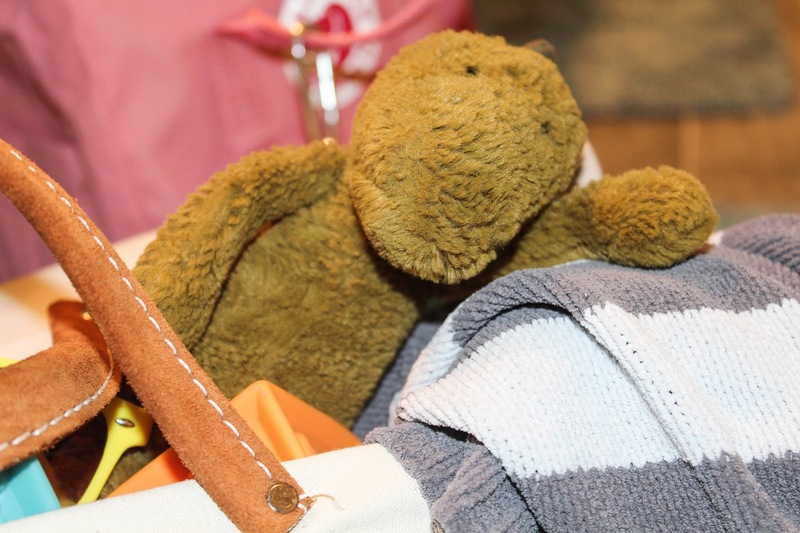 They are little angels when we travel and I am usually the one who is about to loose it so I thought I would gather some tips that have worked for us and literally saved us from a few meltdowns! 1. ONESIES: especially after this last trip to Utah. On our way home Eric put Aden on his lap and was feeding him while Adie and I braved the gas station bathrooms. Whenever we stop we always change his diaper and this one was the worst. Total nightmare! It was everywhere even Eric's pants, Aden's clothes and one of my favorite blankets from Aden and Anais but now it's all in the Chevron trash! It was literally that bad and I almost took him in the bathroom to wash him off but we used the entire bag of wipes and got him in some comfy new clothes! 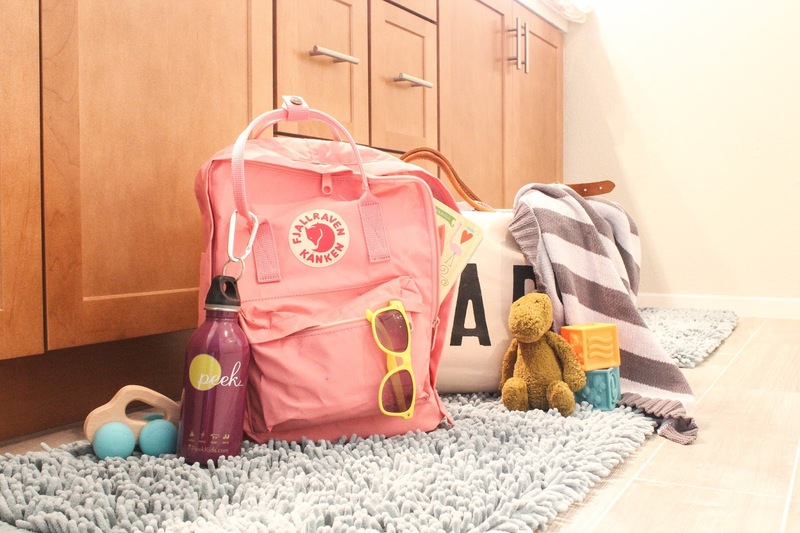 Every time I pack the diaper bag too I always have an extra change of clothes or two or three. 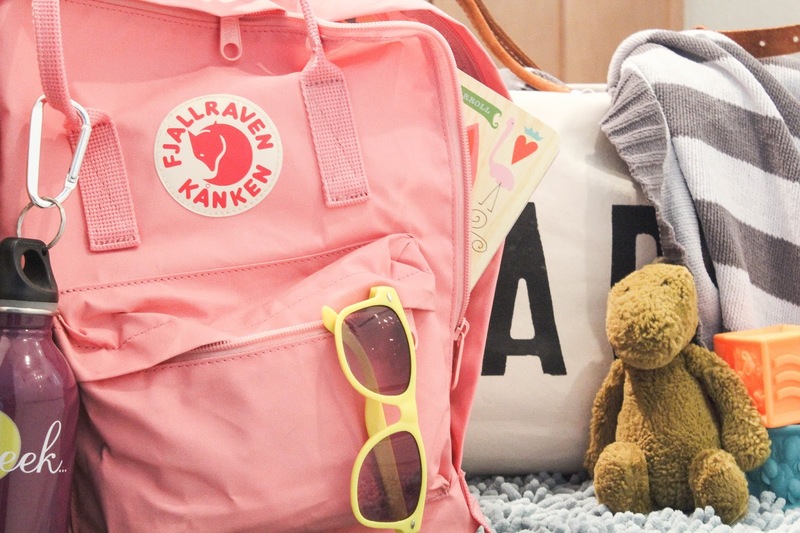 You can see more of what I pack in the diaper bag here. I put the list together when I used it for Adie but now everything is a little more blue and grey! 2. TOYS: I probably just barely started bring toys for Aden since he is only nine months. But with him getting all of his teeth at once, I bring everything he can chew on and a few things that make noise. For Adie she does a pretty good job of getting the things she wants to bring with her in her purse and then tells me to bring everything that doesn't fit. This last trip she had the backseat completely covered with purses, babies and blankets. I always make sure I bring something for her to color, the iPad with a movie or two on it. She loves the Disney Princess app she brings her Leap Frog which is one of my favorites. Taylor Swift 'Shake it Off' music video is a must and Adie instantly starts dancing which makes Aden laugh so before you know it we are all 'shake shake shake' and 'players gonna hate hate hate' and we're almost there. 3. BEFORE YOU LEAVE: I always have to have a super clean car (filled with snacks) or it makes me crazy that and forgetting my pillow. So I will usually get the car cleaned a couple of days before and make sure it is full of gas so when we are ready to leave we can just go. I would rather do everything a couple days or even the day before you are supposed to leave because something always goes crazy the day of. So I don't want to add anymore chaotic meltdowns from any of us to our getting out of town. I try and even have our bags packed the day/night before but this last trip it wasn't happening with Aden still not feeling good and being super clingy and it was chaotic in the morning trying to pack, feed the kids and I totally forgot everything for myself. No shampoo/conditioner, face wash/moisturizer, razor and I always forget to pack pajamas! 4. AIRPLANES: If you are flying with babies fly FIRST CLASS! I flew first class with Adie and it was everything and now I swear that's the only way to fly. It totally calms your nerves and while you are enjoying a beverage already and your little people are snacking on cookies the flight attendants bring you; everyone else is boarding the plane. You get to board first, get on and off the plane first and they treat you like first class! It was amazing! 5. PACKING: I always over pack for Adie and Aden. They go through so many clothes so bring way more than you think you need, plus you never know if you decide to go out for a fun dinner! This is usually where my lists making comes in, if it's not on the list I don't bring it. When it was just Adie I would pack her stuff with mine (in the bigger suitcase) but now that we have Aden I pack their stuff together. Which makes more room for me to pack, this last trip I actually had four pairs of shoes, three dresses and all my bathroom must haves, besides what I forgot in number three. 6. SOME THINGS I ALWAYS PACK: I always like to bring Tylenol, Ibuprofen, Q Tips, diaper cream, thermometer, bath soap, baby lotion, nail clippers, a bag for dirty clothes, blankets to snuggle, toys, a few books and sunscreen. Of course their clothes and I have been bringing Aden's hat everywhere because it's that cute. 7. BACKPACK DIAPER BAG: This last trip I brought my new favorite backpack and used it for Aden's stuff, Adie's and a few things for myself! The diaper bag has literally everything you need but for a quick trip to dinner I just need a few toys and diapers and change of clothes. Adie's little sweater fit and Dinosaur Happy (her baby) even made it in there when she is done carrying her! 8. GAS STATION: Every time we stop I always make Adie come with me and go potty. We have been those parents that have had to totally speed to get her to the bathroom and it makes me do the potty dance for her. It's the worst! She literally is the cutest every time we go too, she has to bring her purse and she always tells me to go first! So after we try not and touch anything, wash our hands and laugh at the air dryers (she's always so disappointed when its just paper towel) we grab a few snacks/drink and go find Dad and Aden. This last trips gas station looked like this: A: Mama I'm gonna get a snack you want anything? M: No, baby I am ok! A: You sure Mama!? She literally is the cutest thing ever! 9. PLAYLIST AND SNACKS: Usually when Eric and I road trip we just talk or I sleep! ;) But nothing makes the drive seem like a breeze like really good music. Also it helps keep those memories alive. There are tons of songs that make me remember, and then I remember how I felt and then I want to be on vacation again! I think it is important to teach our little people about music and I love that Eric loves everything (not country but that's where I come in) and Adie dances to it! She literally will dance for hours and it makes bedtime a breeze! Hashtag Mom win! Snacks are a huge thing in our car or plane ride. Adie always needs a snack a couple hours after we grabbed Chick-fil-A and I always need chocolate chip cookies. This last trip I brought m&ms and they so melted and then Aden got a hold of them which then became a hot mess and we just laughed and that was after Adie dropped the entire can of mixed nuts on the floor ... Eric freaked and I laughed! We cannot hang on to a can of nuts for nothin'! At the beach we do the same thing! Our favorites are: nuts, fruit snacks, anything gummy and some water to wash it all down. 10. HAVE FUN! I have learned to just literally go with whatever happens. I have been laughing a lot at things I cannot control like when Aden doesn't want to take his second nap or Adie won't eat her lunch. Kids will let you know when they are hungry and even tired. I don't want one of things I remember about a trip is how stressful or crazy it was. You literally have to relax and be on vacation!